WHAT IS THE GROW PROJECT? THE GROW PROJECT is a nearly $1 million expansion and remodeling mission. Since 2016, Hope Christian Church has grown by more than 115%! As the Lord is growing HCC numerically and spiritually, He is also making it clear that our building needs to GROW. HOW IS THE BUILDING GOING TO GROW? THE GROW PROJECT will include a full remodel of the Worship Center that will add 125 seats to our current capacity. Since we currently have three services each Sunday, that's 375 more opportunities to Connect People to Jesus every week! The remodel of the Worship Center will also include a new stage, sound system, paint, and carpeting! THE GROW PROJECT will expand the East Wing by over 3,000 square feet. 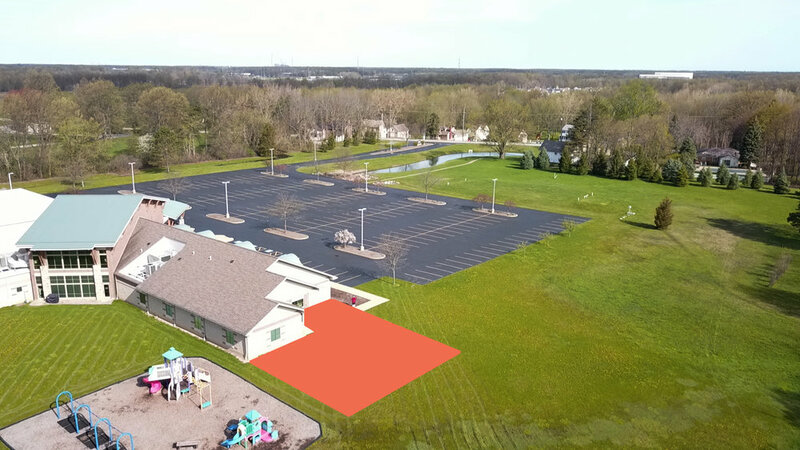 This expansion will provide a large multi-purpose room for our Children, Teens, Celebrate Recovery, Small Groups, and any other ministry that might need a large gathering space. There will also be new classrooms where our kids and teens will Connected to Jesus. THE GROW PROJECT will put new paint on the walls and remodel our café to provide more space for people to fellowship. The first way you can participate is through PRAYER. Be praying for this church, its leadership, and this project. God is doing an incredible work at HCC and we want to make sure we are moving with Him and not against Him. The second way you can participate is through giving a Grow Gift. A Grow Gift is a one-time contribution, or a one, two, or three-year commitment to free the financial future of HCC. Your giving above and beyond your regular offering will pay for THE GROW PROJECT and eliminate our current mortgage. We believe that GOD is calling us as a church to free the financial future, so we are asking GOD to provide the money through you to pay off this expansion as well as our current mortgage. We are so excited for what God is doing in and through Hope Christian Church. And we truly believe He is just getting started. HOW TO GIVE A GROW GIFT? Click on the Grow Gift Commitment Form button to let us know how you would like to give to THE GROW PROJECT. Click on the Submit A Grow Gift button to give your gift. Be sure to use the drop down menu and select THE GROW PROJECT. Don't forget that your Grow Gift should be above and beyond your regular giving. So, if you give online, this will require you to make two transactions. This will help to ensure that your gift goes to the right account.